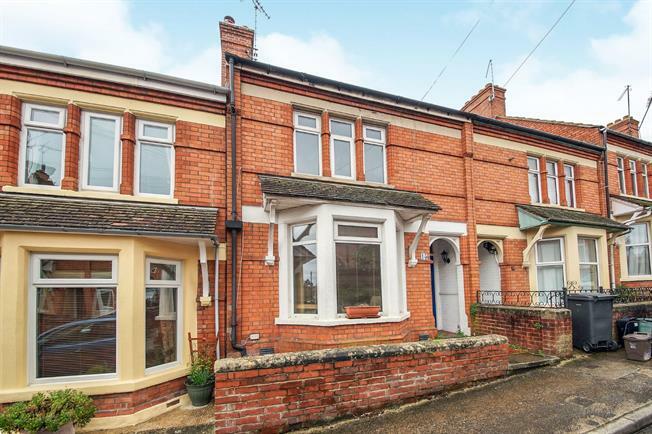 3 Bedroom Terraced House For Sale in Yeovil for Offers in excess of £165,000. This spacious three bedroom home is wonderfully presented and well positioned within close proximity to the hospital and town centre alike. Upon entering the property you are welcomed by a good size entrance hall with quintessential Victorian high ceilings, which leads to the: living room with feature fireplace and bay window, dining room with French doors to rear and kitchen/diner with stylish fitted units. To the first floor there are three double bedrooms and a modern bathroom suite. The property is situated on a good size plot with a low maintenance rear garden predominately laid to lawn with a lovely decked area and also benefits from gas central heating and double glazed windows. Early viewing is highly recommended to fully appreciate the quality of the accommodation on offer. With French doors to rear and radiator. A light and airy room with window to side and rear, as well as a door to rear. Presented with tiled flooring, radiator and range of modern base and wall mounted units with work surfaces over, incorporating one and half bowl stainless steel sink unit with drainer, electric oven and hob and space for washing machine and dishwasher. The base mounted units are "U" shaped to incorporate a breakfast bar area, alongside the ample room for dining already provided. With window to front, radiator, feature fireplace and built in cupboard. With window to side and modern suite comprising pedestal wash hand basin, low level WC and panelled bath with shower attachment. The bathroom also benefits from full wall tiling. To the front there is a small area of garden enclosed by a low level brick wall with pathway to side providing access to front door. To the rear there is a good size, low maintenance rear garden that is enclosed by fencing to one side and brick built wall to the other. To the immediate rear of the property there is a decked area with a gravelled pathway to the side running adjacent to the lawned area and leading to the shed.